DLI power controllers are web accessible using any mobile browser. Support is simple: First log-in as "admin". Next, create a user name on the setup page. Logging in using the new name. The power controller will automatically detect the mobile device screen size and zoom in. 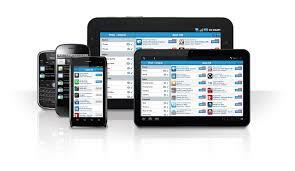 Andriod and Apple IoS apps are also available.